Beer, wine and liquor consumers, mark your calendars: May 12, 2015 is when new purchasing options may start opening up for you. Beer, wine and liquor consumers, mark your calendars: May 12, 2015 is when new purchasing options may start opening up for you. That's the date that was set last week for the trial of New Brunswick resident Gerard Comeau to commence. The retired steel worker had the temerity -- or perhaps merely the naïveté -- to think that he could actually buy several cases of beer in Quebec (where it's significantly cheaper) and drive them home to New Brunswick. 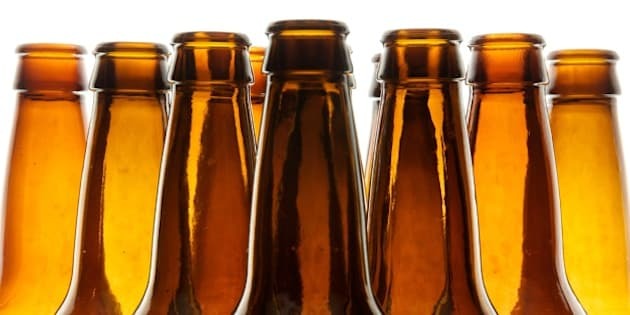 Mr. Comeau has been charged with violating New Brunswick's Liquor Control Act by bringing across the border more beer than the 12-pint legal limit. He did this dastardly deed more than two years ago, in October 2012, under the watchful gaze of several RCMP officers who apparently had nothing more pressing to do that day than tail a senior citizen on his beer run. The officers seized his alcohol and issued a fine of $292.50, but Mr. Comeau doesn't plan to pay it. He is not your average beer drinker. He's the man who is going to make constitutional history by challenging the legality of the Liquor Control Act. The smart money says he's going to win. The organization I work for, the Canadian Constitution Foundation, is supporting the challenge with the help of some dedicated professionals. Ian Blue, Q.C. is senior counsel at the Toronto firm Gardiner Roberts LLP. He has written extensively about the constitutionality -- or rather, the unconstitutionality -- of provincial liquor laws. Mr. Blue has volunteered to act as counsel to Mr. Comeau, along with Mr. Comeau's original New Brunswick lawyer Mikael Bernard. Mr. Blue says the Fathers of Confederation intended alcohol -- and indeed all manufactured and agricultural products -- to flow between the provinces without barriers such as those imposed by the Liquor Control Act. The internal free-trade law was written right into the constitution in 1867. Section 121 reads: "All Articles of the Growth, Produce, or Manufacture of any one of the Provinces shall, from and after the Union, be admitted free into each of the other Provinces." At the time of confederation, internal free trade was frequently described as one of the major advantages of uniting. Unfortunately, in a bizarre 1921 case called Gold Seal v. Attorney General of Alberta, the Supreme Court of Canada (SCC) ignored the legislative history and context of s. 121, and declared that it prohibited only customs duties on interprovincial trade, not other forms of trade barrier. The biography of then SCC Justice Duff discloses that while the Gold Seal case was under consideration, two of his SCC colleagues were summoned to a private meeting with the federal Justice Minister to discuss the case. Had this extraordinary secret political interference with the court not occurred, interprovincial free trade might well have been cemented into Canadian jurisprudence in addition to appearing in the constitution. Later courts have felt compelled to follow the Gold Seal precedent. Consequently, Canada is now riddled with rules that divvy up markets for agricultural products and prevent Ontarians from buying chickens from Quebec or cheese from Manitoba. Provinces enact their own unique rules on manufacturing standards of items such as vehicle brakes and product packaging, thereby hindering interprovincial competition and trade. Lawyers Blue and Bernard will attempt to persuade the New Brunswick court to reconsider the original purpose behind s. 121, reject the politically tainted 1921 decision and restore the correct free-trade interpretation to the constitution which Sir John A. Macdonald and his contemporaries intended. Public opinion against the provincial alcohol monopolies has been mounting, recently spurred on by revelations of a secret price-fixing deal between the Liquor Control Board of Ontario and a trio of privately owned breweries. Mr. Comeau's case could be the coup de grace for the ridiculous restrictions that raise prices and reduce choices for consumers. As a non-drinker, I won't be directly affected by the dismantling of alcohol restrictions, but I love this case because of its potential to liberate markets in other products -- for instance, eggs, poultry and dairy products. Internal trade barriers in these farm products also increase prices and reduce consumer choice.